A unique assisted living facility in West Wichita, Kansas. This facility includes a 32-bed dedicated Alzheimer’s & Dementia memory care facility. The memory care residence has a separate dining room and nursing station. In addition to the unique memory care unit, the facility includes a two-story, 56-unit, assisted living community with services unlike any other. The majority of the common areas are located in a central-core area with views of a courtyard and pond. The common areas include the main dining area, sports bar and grill with billiards, whirlpool room, wellness center offering massage and therapy, post office, beauty shop/spa, solarium, theater, ATM, country store, and reception area. All 88 rooms of the assisted living and memory care units have full bathrooms. Further, the AL units have full kitchens with granite counter-tops. Nantucket | Studio | 395 Sq. 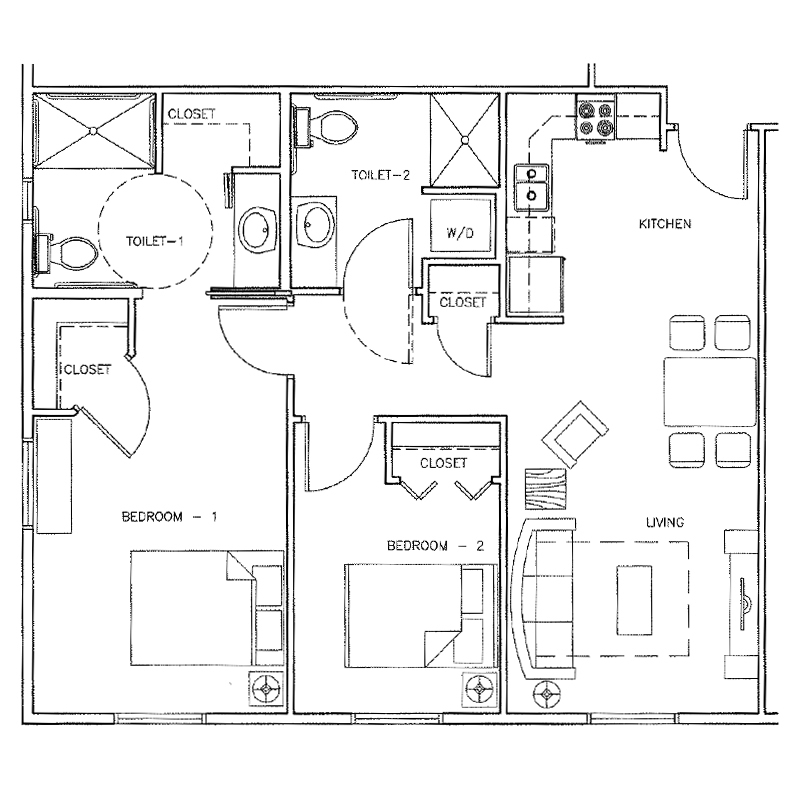 Ft.
Westfield | 1 bedroom | 526 Sq. 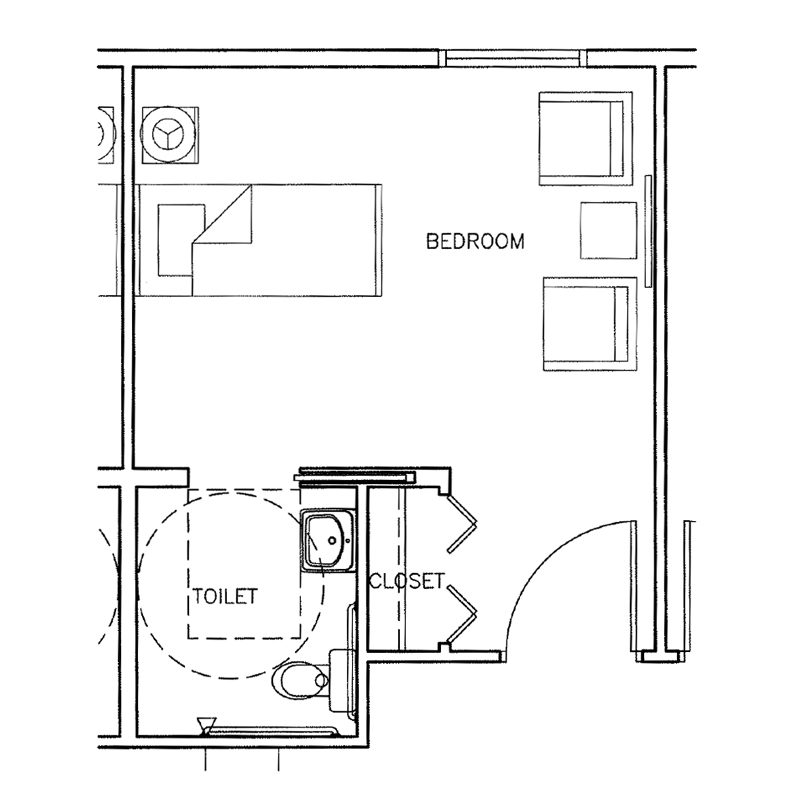 Ft.
Arcadia | 1 bedroom | 555 Sq. 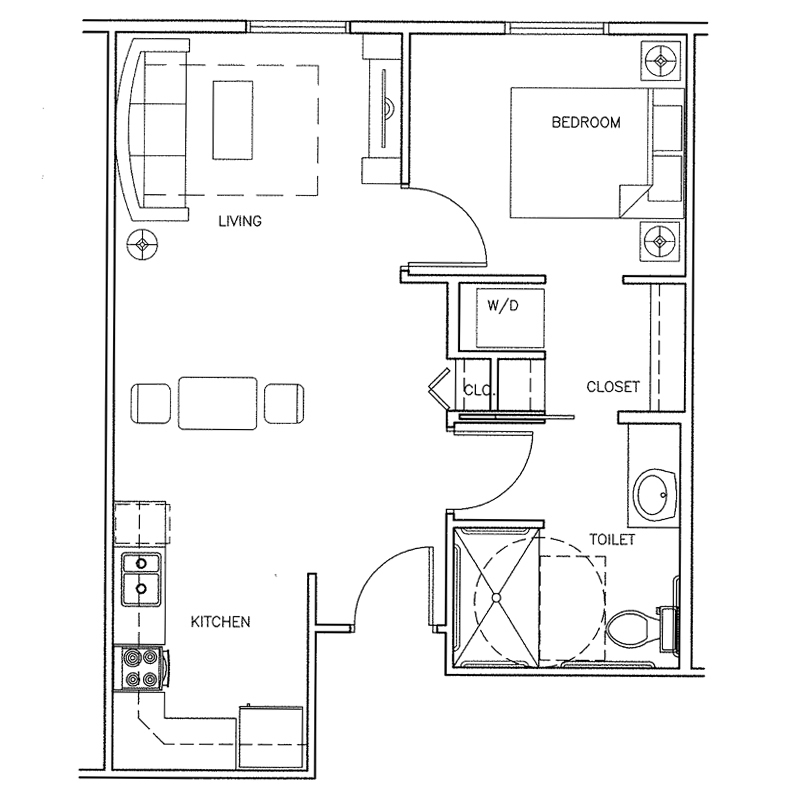 Ft.
Forestview | 1 bedroom | 558 Sq. Ft.
Amarado | 2 bedroom | 851 Sq. Ft.
Caddy | Memory Care | 234 Sq. Ft.